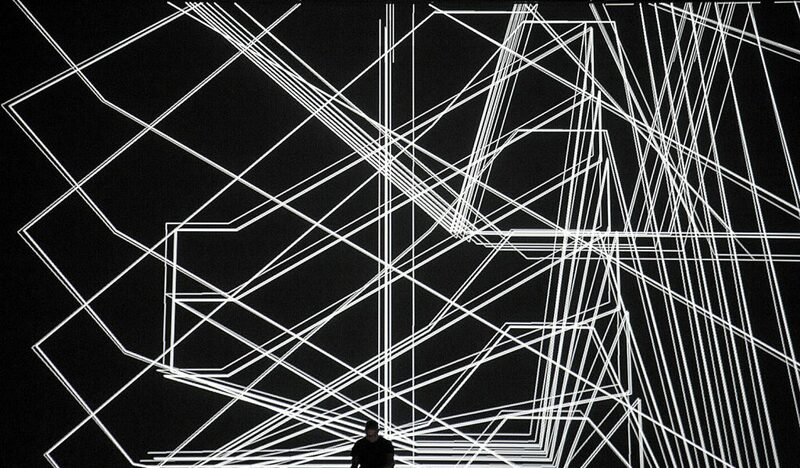 ALPHA is a live performance merging sound and visuals into a dense and immersive matter. I designed and composed the first version during the summer 2014 by using a very new creative process. I progressively grew music structures and designed the visuals generation system at the same time. The visual system analyses sound in real time and dynamically generates the elements and structures displayed on the screen during the performance. I created the sound analysis system in order to extract the meaningful elements from the sound at each moment of the performance, feeding the visual generator with information about the noisiness of the sound, its spectrum content and basic time-based data. The visual generator is a complex system I wanted to be able to react to the sound each time differently. I left room for chance (I am talking about “constrained chance”) as a part of the performance. There are no pre- recorded footages used in ALPHA, only 3D rendering, with the idea of producing and generating each time a new matter.